There is a new shop on Park Ave that specializes in oils and vinegars. 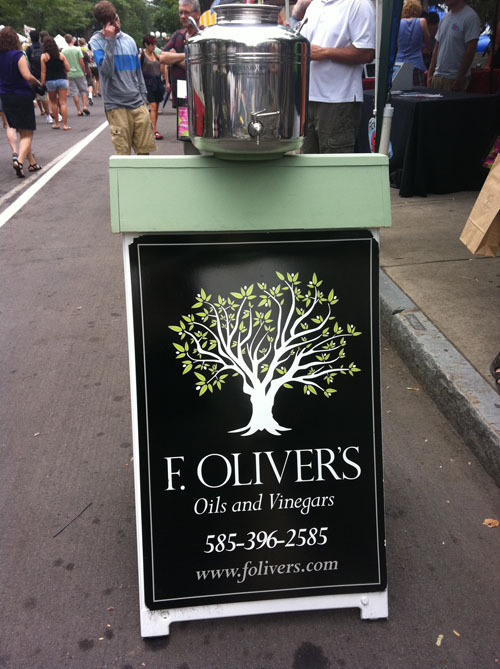 F. Olivers is from the Finger Lakes and offers a mind boggling selection of flavors of vinegars and oils. We stopped in during the Park Ave Fest and you can see how stunned Tina was. 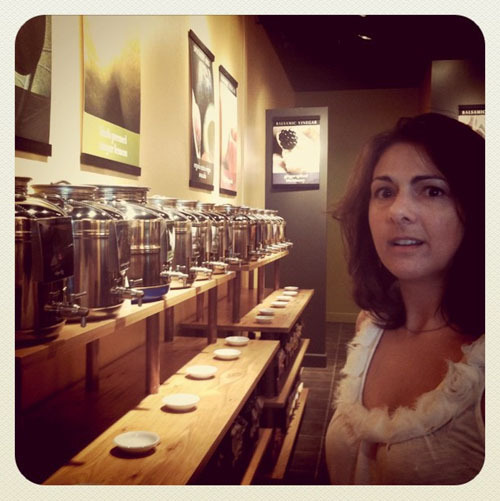 Their shop is amazing with rows of shinny tanks that you can sample from. 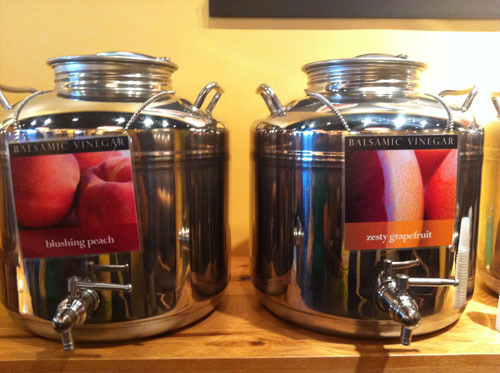 Just a few of the vinegar flavors are peach, grapefruit, cinnamon pear, coconut, dark chocolate, pineapple - the list goes on. 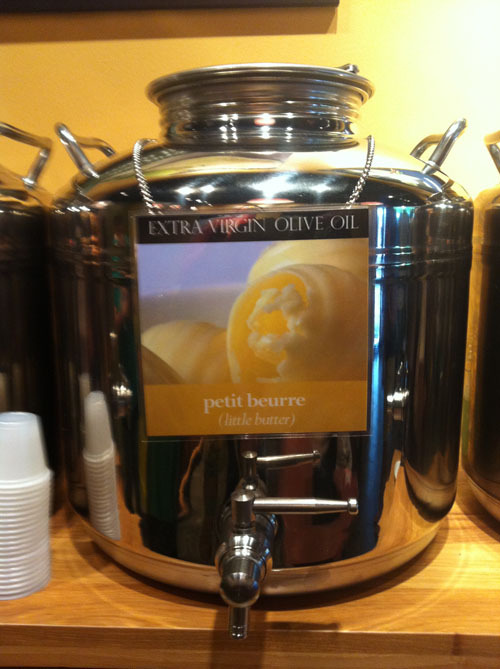 As for olive oils some of the flavors are basil, blood orange, lime, chipotle, and the most amazing Little Butter. There is no dairy involved but this olive oil tastes like butter! Perfect for misting on popcorn. If you are going to visit you really need time to sample all the flavors and let the staff mix some for you - basil olive oil with strawberry vinegar - fantastic! I frequent the Canandaigua store often. One of my favorite combos is the pineapple vinegar and basil Olive oil. Delicious!